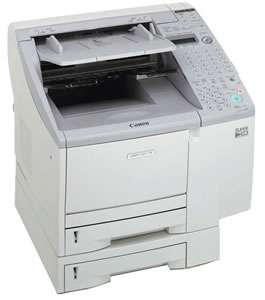 Canons LaserClass 710 Facsimile System offers you the flexibility and productivity youre looking for in a multifunctional office fax solution. With a LASER CLASS 710 Multifunction System, everyone in your workgroup has the power of a high volume Canon Laser Facsimile machine: a 19-ppm laser printer, 1200-dpi resolution, Super G3 Technology, a 35 scans-per-minute scanner, large document memory, and a 70-sheet document feeder. Toner cartridge is not included.